We’ve known for a while that Warner Bros. has had plans to re-visit the DC Universe’s army of ring-wielding space cops. 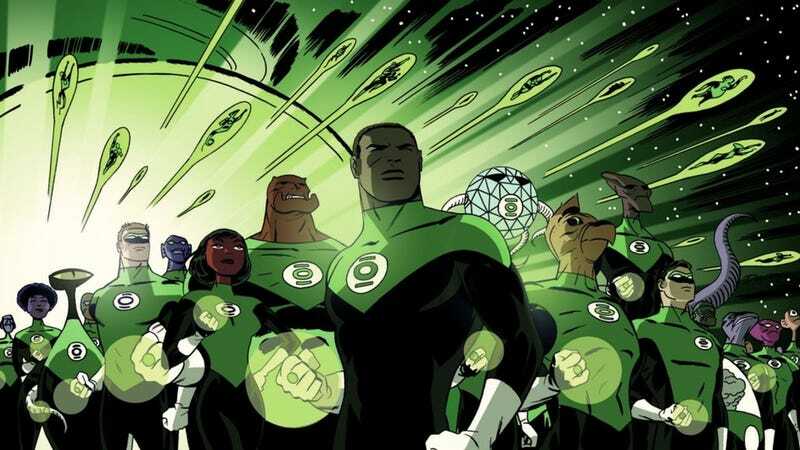 Now things are moving forward in a significant way, with screenwriters David S. Goyer and Justin Rhodes reportedly working on the upcoming Green Lantern Corps movie. Deadline reports that Goyer will be producing the movie as well as co-writing the screenplay, with WB honchos Geoff Johns and Jon Berg as executive producers. The take is referred to as “Lethal Weapon in space” and will feature both Hal Jordan and John Stewart, the human Lanterns who’ve been the face of the Green Lantern property in previous movies and TV shows. Ryan Reynolds played Jordan in the 2011 flop but there’s no word if he’s going to reprise that role. Given that he owes his career resurgence to a Marvel/Fox film franchise that’s already cooking up a sequel, his return seems unlikely. We’re hearing that Green Lantern Corps won’t be an origin story which is a hopeful bit of news to hang onto in the cold vacuum of space.